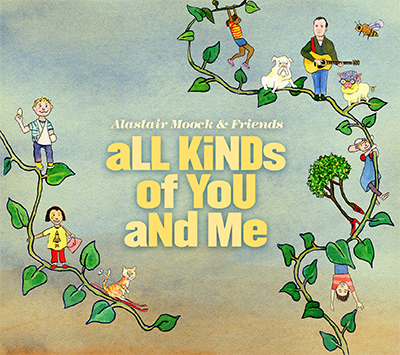 Alastair Moock has had a long and successful career in both the adult and children’s music worlds, the latter of which includes a Grammy nomination for Singing Our Way Through: Songs For The World’s Bravest Kids. Needless to say, Moock is another dad who ROCKS! To produce the video, Moock paired up with Key Wilde of Key Wilde & Mr. Clarke whose illustrations and animation complement the song in an excellent way. Wilde’s ability to create wonderfully weird characters pairs well with Moock’s encouraging words: “We come in every shape and size, we live all different kinds of lives / We’re seldom wise to criticize cuz every life’s a kind of prize.” And that applies whether you’re a dancing plant, a dog who oinks, a boy in a dress, or a girl who climbs a tree! Yeah! You can purchase “It Takes All Kinds” from Moock’s iTunes page. Read on for some Father’s Day Q&A followed by more Moock music videos! Below Moock shares his thoughts on being a Dad, his plans for Father’s Day and how his family participates in making music with him. KCG: What are you planning to do for Father‘s Day? 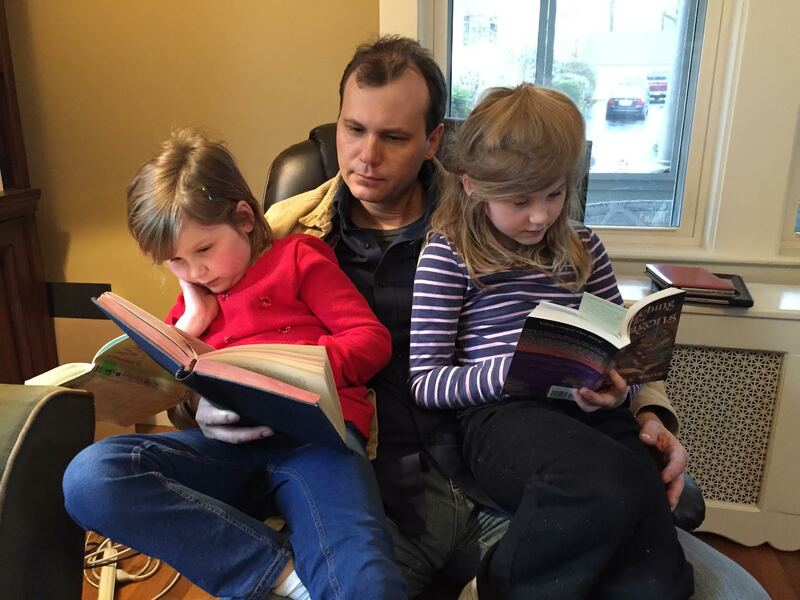 AM: Being called Dad by two beautiful kids. AM: I actually tour less since I switched my focus to family music than I did in my earlier “grownup” career – and, because shows are early, my kids can come to (and participate in) shows, so that all works out well… I think parenting is challenging for everyone, and I’m certainly no exception. Being a parent is a great job, but it’s a definitely job. KCG: How often do you play music/sing with your kids? Do your kids join you during performances? AM: My (twin) girls have sung with me on stage since they were toddlers, and we’ve done a lot of co-writing over the years too. It’s one of my the things I love most about what I do. One of my girls is especially interested in singing and performing… Given that they’re now eight and no doubt about to enter a period of life when dad is going to be a huge embarrassment, I plan to savor this time while it’s still here! And I hope, when they come out on the other side of adolescence, they’ll want to sing and play with me again. Below are videos featuring Moock and his daughters. “Inside a Book,” which was written with his daughter Elsa and “When I Get Bald,” which he performs with his daughter Clio.